New student? Current student who has just realised that it would be useful to find out more about library and information services? Get your new programme off to the best start, or kick-start your ongoing studies, by discovering what is available to you from The Sir Duncan Rice Library and beyond…. WHEN: Friday 15 January and Monday 18 January – Friday 22 January, 10:00 or 14:00. There will be no tours at the weekend. No booking necessary – just come along on the day and time slot that suits you best. Invest a little time now to find out what is available to support your research and study activities – you will be glad that you did! For more detailed help with research resources for assignments and dissertations you can book onto our lunchtime Find it Fast! workshops (undergraduate and taught postgraduate students) which start on 19 January. Workshops for research postgraduate students are provided in the Researcher Development programme and can also be booked online. 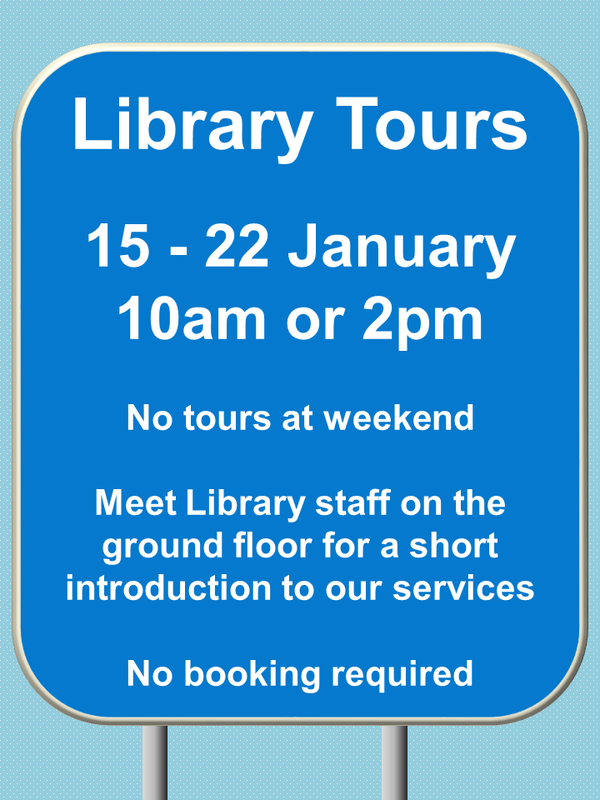 Log in to www.abdn.ac.uk/coursebooking for further details, or speak with library staff. This entry was posted in access, general, students, taught postgraduates, The Sir Duncan Rice Library, tours, undergraduates, University Library by ewanag. Bookmark the permalink.